ItemB-06702 - "Fritz' Ship - HMS Merlin, 1908." ItemB-06706 - "Shingwaukoons (Little Pine), Norman Wolfe, Oct 23/79"; son of Reverend and Mrs. E.F. Wilson. ItemB-06707 - "Francis Bertram, Sept 13, 1870"; son of Reverend and Mrs. E.F. Wilson. ItemB-06708 - "Tecumseh; Archibald Edward, May 4/69"; son of Reverend and Mrs. E.F. Wilson. ItemB-06709 - "Arthur Llewelyn, May 1st/76"; son of Reverend and Mrs. E.F. Wilson. ItemB-06713 - "Frances Nona Oct 24/78; Ahzhahwushquahnuhkwudooqua (Blue Cloud)"; daughter of Reverend and Mrs. E.F. Wilson. ItemB-06714 - "Ahkuhbagezhegooqua (Endless Day); Evelyn Grace, Sept 2nd/71"; daughter of Reverend and Mrs. E.F. Wilson. ItemB-05989 - Views of Westholme, Vancouver Island. Item B-06709 - "Arthur Llewelyn, May 1st/76"; son of Reverend and Mrs. E.F. Wilson. 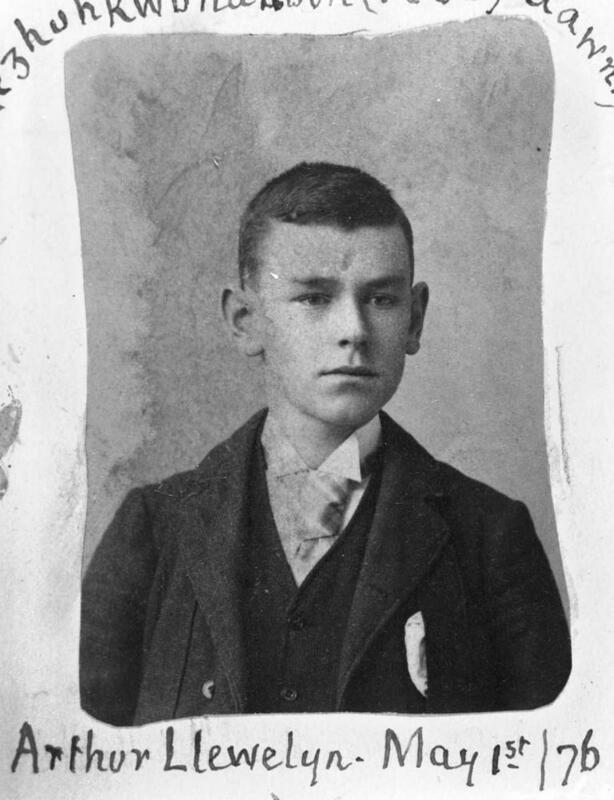 "Arthur Llewelyn, May 1st/76"; son of Reverend and Mrs. E.F. Wilson.